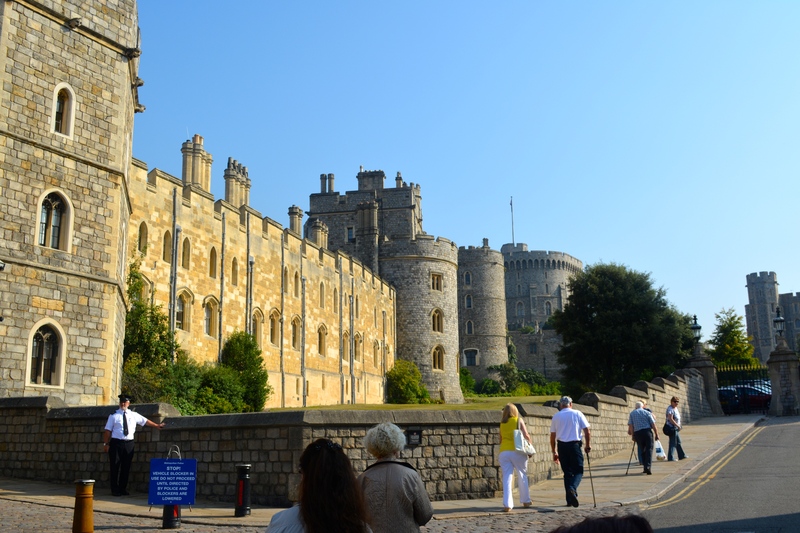 According to victor.com, Windsor Castle is the largest working castle in the world that is still occupied by monarchy. For over 900 years, since William the Conqueror built a wooden fortress here, this has been a royal home and fortress. Queen Elizabeth spends a month at Easter, a week in June and most weekends at Windsor. This is also where she often hosts State Dinners for international dignitaries and entertains those she has knighted into the Order of the Garter. St George’s Chapel is a working chapel and many royal weddings and funerals have occurred here; the Queen Mother and Henry VIII are buried in the chapel. 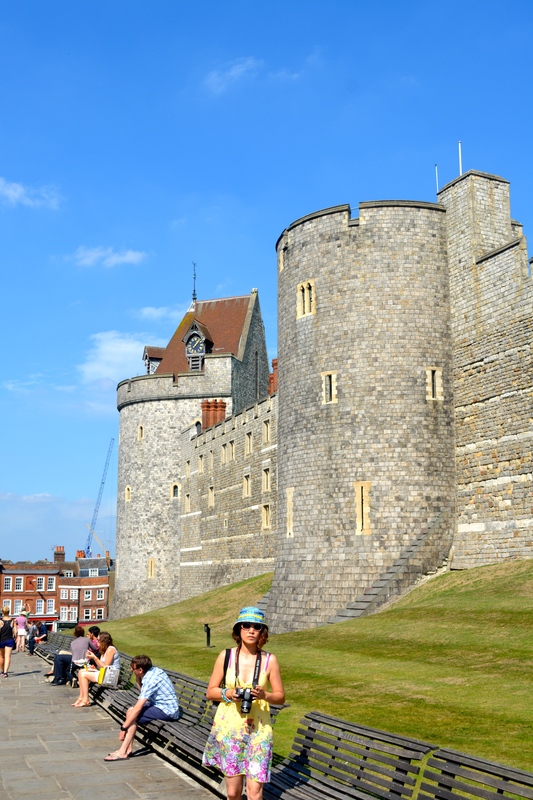 Windsor Castle occupies a large site of more than thirteen acres, and combines the features of a fortification, a palace, and a small town. The present-day castle was created during a sequence of phased building projects, culminating in the reconstruction work after the major fire in 1992, described later in this post. It is obvious that exterior walls were designed with security in mind, with only a few windows on outside walls, and towers that serve as lookouts strategically surround the compound. Other architectural details show how the castle was protected from intruders. For example, the mortar between the layers of stone in the protective walls that surround the fortress are embedded with sharp metal banding that would make climbing the wall extremely difficult, if not impossible; small slits along the wall are designed for protruding arrows for surprise attacks on the enemy.